Mow down the armies, take down the fortress and unite chaotic Japan. 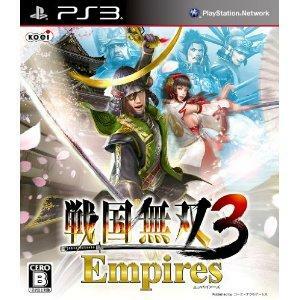 Sengoku Musou 3 Empires allows gamers to become one of the great daimyos of the era. They will have their land, their citizens and their soldiers. The game combines simulation with battles, giving gamers a most comprehensive warrior lifestyle. What you decide on putting in your city affects your armies. Build facilities in your land for your citizens to make your territory prosper, and invest your money in all sorts of things. Invade the land of other daimyos.